.Living in a gated community provides you with a sense of security. You feel that your home is protected when you are away. How do gated communities work? 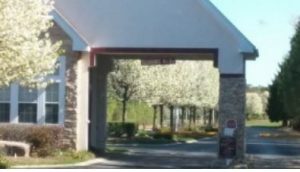 When you live in a gated community, the gatehouse is there to keep people from entering without a reason. However, you control who can enter the community. If you want someone to come in, you decide who. It may be a relative, a friend or even the pizza delivery guy. Or maybe some who is delivering your new couch. As a resident, you’ll get a remote that opens the gate. If you need additional remotes, they’re available. Most of the time, you can program the overhead console in your car. Thus, you can come and go through the gate(s) as you wish. Let’s say that you have a frequent visitor. As an example, a relative. And you want this visitor to be able to come and go as they need to. Get them a remote. Optionally, you can give their name to the gatehouse and instruct them to let that visitor through, permanently, at all times. If you invite someone to visit you as a one time event, give their name to the guardhouse.Then instruct the guard to let them through. And, what if you have someone coming to perform work on your home? Let’s say a painter is coming, and will come on multiple days. Instruct the gatehouse to allow them entry within a certain date range. Again – you control who is going to come through the gate.